For a number of years all our plants have been EMAS registered and held ISO 14001 certification, important instruments which European organisations can adhere to voluntarily, in order to contribute to sustainable economic development. In the Environmental Statements, which can be consulted in this section, we report –proactively and in accordance with the principles of transparency – the results achieved compared to the pre-set environmental objectives and we indicate how we intend to continuously improve our environmental performance. 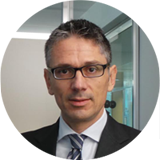 EP Produzione, thanks to its people and its electricity production plants – 4.3 GW capacity, 5 gas-fired and 1 coal-fired plants – contributes to environmental sustainability, to the security of the national grid and to its competitiveness. Our thermoelectric plants stand out for their flexibility and reliability, while respecting high environmental and safety standards. This is the basis on which we want to create value for all our stakeholders. Our power generation plant has for some time been the best in its class in terms of environmental management: all of our thermoelectric plants are EMAS registered, some of them for over a decade. 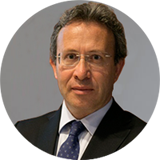 For us the relationship between energy and the environment is based on values acquired from EMAS and is focussed on the continuous improvement of our environmental performance”. 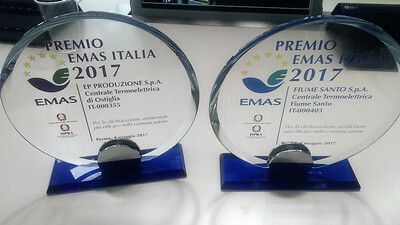 In 2017 the Environmental Declarations of the Ostiglia and Fiume Santo power plants won the “Emas Italia Award” as the most effective Environmental Declaration in communication.